Your relationship with your toaster is pretty simple – at least, I hope it is. You bought your toaster, and now you can toast things with it. Sure: there are various bakers out there vying to sell you bread, and you need to pay your electricity bill to keep things working. But the company that makes your toaster isn’t hoping to take home a percentage of these sales – and it isn’t showing ads based on your past toasting history. You bought your toaster; you use your toaster. That’s it. Compare this to your relationship with your smart phone. Yes, you did buy it, but you likely didn’t pay full price up front: your wireless contract subsidizes the phone. This contract, which you pay for monthly, gives you the right to use a certain amount of data. You use this data plan to access websites and services. How they make money varies. Of course, you probably already know most of this. But think about it: this is already a great deal more complex than your toaster, and we’re just getting started. Some apps are sold for a set price; some require subscriptions. 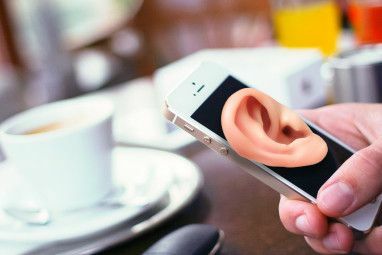 In most cases the maker of your smartphone’s operating system – which may or may not be the same company that made your phone – gets a cut of what you paid for the app, or even your ongoing subscription. But if you’re like most people, the majority of your online time is spent using sites and services you don’t pay for at all. Facebook, YouTube, Google, Twitter – the list goes on. You know where this is going, of course: advertising. But on today’s web, this is not a simple matter of showing you ads and getting paid. 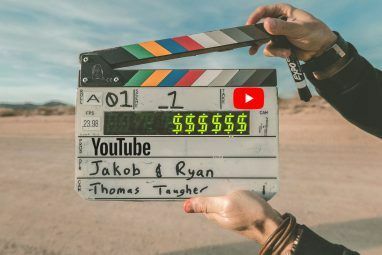 Most sites use the information you provide them – the topics you discuss on Facebook, the videos you watch on YouTube and your Google search terms – to show you relevant ads. Some sites take this a step further, using your name and picture as part of the ads other users see. You’re not paying these companies – someone else is paying them in an attempt to reach you. This is big business: it’s a large part of how Google earned $15.7 billion in revenue last year. To review: you paid for your toaster, so you get to make toast. You paid for part of your smartphone, and you pay for a data plan that subsidizes the phone and provides you with Internet access. You pay for certain apps, and for some subscriptions, and part of this money goes to the company that made your smartphone operating system. Many free services also get paid because they sell advertisements using the information you’ve provided them with. 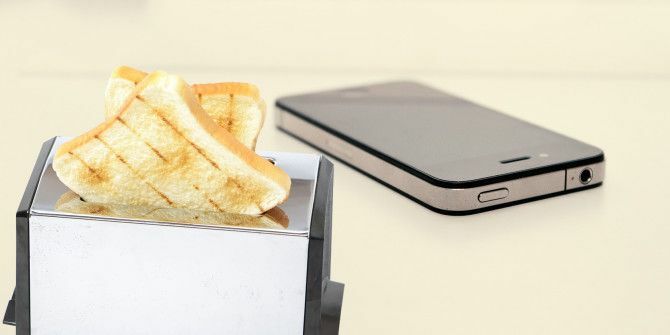 I’m not arguing smartphones should be as simple as toasters. I’m simply pointing out that the way these two devices connect you to the economy are pretty different. I’m also not arguing that the Internet is unique in this regard. TV has long been free and ad-supported, and for over a century newspapers have sold ads to earn most of their revenue. Whether you realize it or not, the ways the services you use make money defines your relationship with them – and is worth thinking about. There are three main ways a company can make money from you. They can ask you to pay for the product (or to donate). They can show you advertising. They can monetize the data you’ve provided them. For most of human history companies stuck to the first category: selling things. Newspapers, followed by radio and TV, broke this mold by charging for advertising. The third category, monetizing data, is unique to the information age. Most companies on the web combine these three revenue strategies in some way. Some companies give away a free version, with or without advertising, in the hopes that you or someone you tell about the service will pay at some point. Think of Dropbox. Some charge you for a service and show you advertisements. Think of Hulu’s Plus service. Many sites analyze the data you’ve provided them in order to show you more effective advertising. Google, for example. Some sites show you ads and sell access to your information. LinkedIn, for example. How Do They Make Money, which shows you how your favourite Internet companies make money Quickly Research How Your Favorite Online Services Make Money Quickly Research How Your Favorite Online Services Make Money Find out how your favorite sites on the web make money. "How Do They Make Money" is an interactive site that lets you quickly find your favorite tech companies, and you should check it out.... Read More , is a great place to look into this. I’d recommend checking out the sites and services you use, and seeing how they balance these three moneymaking strategies. How much is your personal information worth? Could you sell it yourself if you wanted? Well, you could try selling your own data, directly Facebook Makes Money Out of Your Data, Why Shouldn’t You? Facebook Makes Money Out of Your Data, Why Shouldn’t You? There are so many free services online because companies can profit from the data you provide. 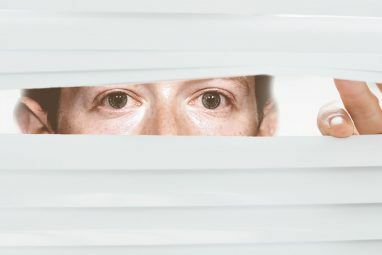 Companies like Facebook sell (or buy) your data to third parties, while ones like Google use your data to... Read More , but you probably won’t make more than a couple of bucks. Thinking of it this way, sites like Facebook and Google seem like a pretty great deal. I’m not saying that services who use your information are bad – just that you should be aware when it’s happening, and think through whether such trade-offs are worth it. Sites like Facebook are designed to eat up your time, so you’ll see more ads. They also give you a way to talk to friends and family, free of charge. Sites like Google track your search history so they can show more relevant ads. They also give you quick access to information, free of charge. Knowing how a site makes money helps you understand your relationship with them, and as such what to expect. Think about these trade-offs. It’s been said that if you don’t pay for a product you’re not the customer, but the product being sold — but you can also argue that saying so is meaningless. A business that profits by showing you ads still needs to treat you well, or you’ll leave and stop looking at the ads. You may not be a customer, but that doesn’t mean you’re not valued. Any company that wants to keep paying the hosting bills, and paying its employees, eventually needs to figure out a way to make money. Because of this, your relationship with the Web is almost nothing like your relationship with your toaster – and that’s worth thinking about. ..And how does MUO make their money? Mostly from advertising, partially from affiliate links. We also do the occasional sponsored post. I agree with Tom W. Glanced at the article, than read the whole thing. This was an interesting article. Different from what I'm used to seeing on MUO, but still good.